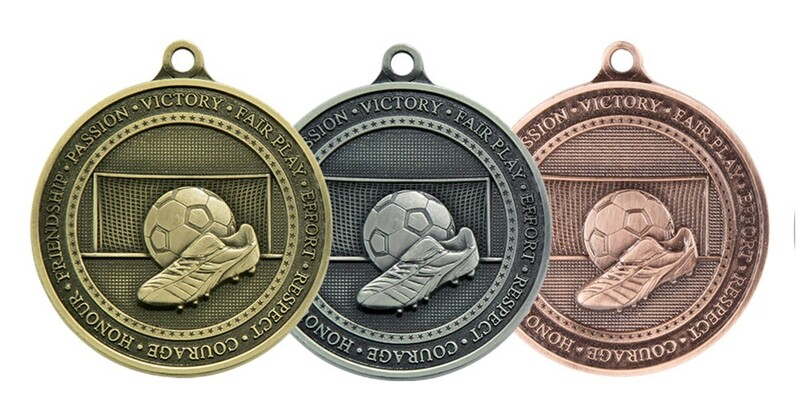 The medals are decorated with the words: VICTORY, FAIR PLAY, EFFORT, RESPECT, COURAGE, HONOUR, FRIENDSHIP, PASSION. The medals come complete with a red/white/blue ribbon. There is the option to engrave on the reverse for an additional charge.